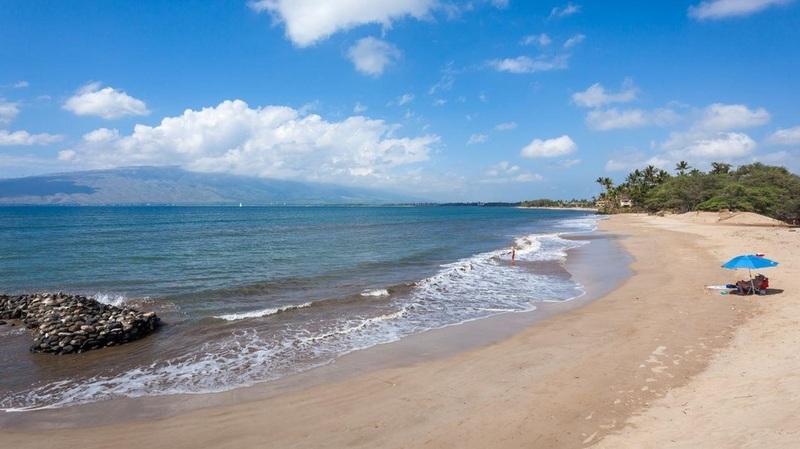 Koa Resort 4G is located on the lush Koa Resort property in Sunny South Maui. Less than 100 steps to white sandy beaches where the whole family can boogie board, whale watch and sun-tan by day, or enjoy refreshing tropical drinks at sunset. Koa Resort features huge heated swimming pool, hot tub, BBQ grills, tennis & basketball courts, plus a very nice cabana complete with Free High-Speed Wireless Internet Access. Air-Conditioning was also recently installed in every room! NEW OWNERS AND REMODEL AS OF JANUARY 2018!! Hale Ohana is a quiet, private 2nd Floor unit + Loft that easily sleeps 6 adults. The main floor includes an enormous living room, full kitchen + center island, Dishwasher, Washer/Dryer, 2 bedrooms downstairs (2 twins, 1 Queen bed) and large full bath. An interior spiral staircase leads to the Master Suite loft complete with King size bed and 2nd private bath.